Kidnoculars are the only binoculars designed specifically for little kids. 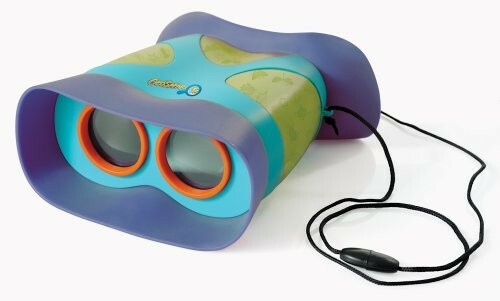 Enlarged focus-free eyepieces -- more than three times the size of ordinary binoculars -- and perfect-fit goggles with placement guide enable kids (even toddlers) to see up close. The focus-free, 2X magnification makes them easy to use, and the breakaway safety neckstrap makes them safe for little ones! 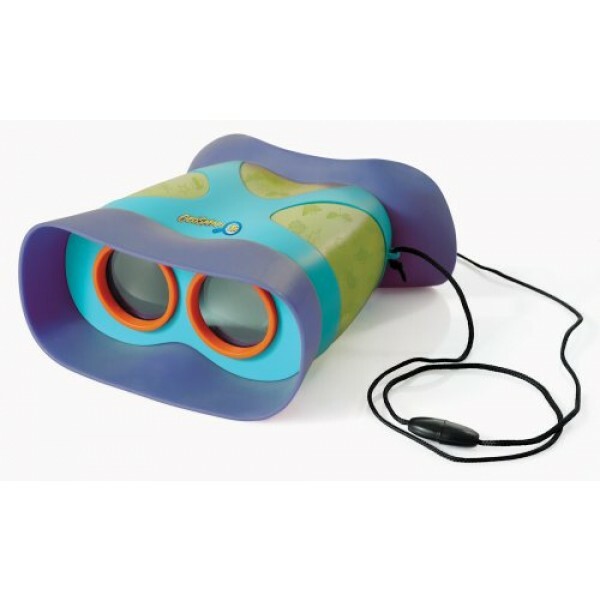 They're the perfect set of binoculars for kids who aren't ready for the real thing.